Okay so I will freely admit that I am a fan of Rick Riordan. I love the Percy Jackson books and the Kane Chronicles, feel free to check out the reviews on this site. 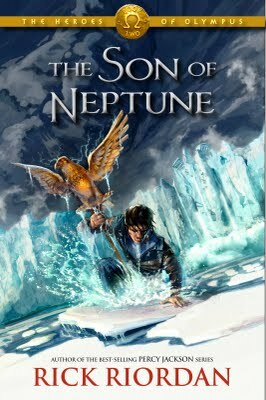 With the second of the Kane Chronicles having only recently been released I was thinking I’d have to wait a while before my next Riordan fix, only to find tonight that the cover art has just been revealed and chapter one of the second Heroes of Olympus books Son of Neptune is available as a sneak peak here. So fellow fans make sure you check it out. Of course this suggestion comes with a warning, it may make you impatient for the rest of the book.